Stark County Catholic Schools (SCCS), is system of schools designated by the Diocese of Youngstown in July of 2018, comprised of the Catholic elementary schools and high schools in Stark County. Our Catholic schools are known for academic excellence, with test scores well above state and national averages, 100 percent graduation rates and more than 98 percent of students advancing from high school to college. All while offering outstanding arts and athletic opportunities, while keeping faith at the center of all that we do. Many of Stark Counties community leaders trace the root of their success to their education and character development at our schools. The collaborative nature of one system of 13 unique schools provides opportunities for engagement between multiple schools, sharing of best practices, and a focus on a preschool through high school approach to education. Stark County Catholic Schools helps each school with enrollment, marketing, and development strategies with the goal of growing and encouraging a tradition of Faith, Excellence, and Service. Welcome back! We cherish the alumni from each of our Stark County Catholic Schools. Alumni are always welcome back to our schools to visit, take a tour, attend a Mass, and to participate in alumni events. We actively engage our alumni in a number of ways. 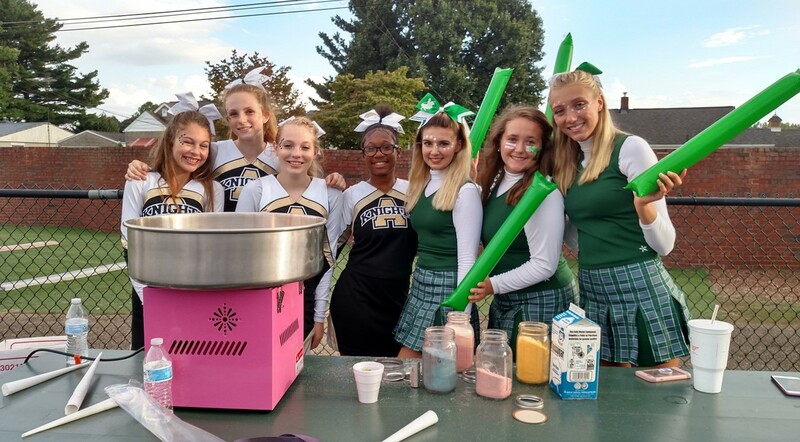 Our high schools each have their own alumni associations that keep former students up to date on classmate news, the passing of members of our community, reunions, and other alumni events. Our elementary schools are supported by the Stark Catholic Elementary School Alumni Partnership, an organization that brings together alumni from all of the Catholic elementary schools we've had in Stark County. The SCESA hosts events throughout the year to keep alumni engaged. In addition, many of our schools have alumni groups who have stayed connected long after graduation. Learn more about Alumni Outreach! Interested in getting updates from Stark County Catholic Schools? Sign-up for our electronic newsletter! Newsletters from Stark County Catholic Schools are sent biannually. Sign me up for the SCCS Newsletter! Each of our individual schools offers their own news updates, please sign-up for the school newsletter of your choice by visiting their webpage, found in our drop-down menu.